Fukiya is one of the blowguns used in Japan. It is used to blow-shoot with poisoned darts. The air rifles fukiya (up to 2 meters long) were traditionally used by the Japanese hunters since ancient times. The traditional fukiya consisted of a 2 m long tube blowgun. The fukiya users wrap their lips around the whole pipe to blow the dart. The darts themselves are called fukibari. Traditionally the fukibari used were about 20 cv in length. The Japanese warriors who had more “shadow” missions took the advantage of this gun and borrowed the idea of using the air rifles. They upgraded the weapon by shortening its length to about 30 cm which made it possible to hide the gun under the clothes or take it openly as a flute. However, when performing their missions to kill the enemy, Ninjas also used longer hunting tubes for a long-range shoot. When shooting the ninja aimed at the eyes, though there were not required to be precisely accurate since the fukibari (or fukiya darts) were treated with deadly poison, which was intended to paralyze and then kill the enemy after the poison got into the blood. The fukiya-jitsu was also applied for other purposes than murder. The Ninjas used to send messages hidden in the shank of the needle or light the premise where they happen to appear (here they would soak the dart end in the sulfur to ignite and shoot up to illuminate) and so forth. This is the weapon of low-noise, high-precision (the only drawback is flight instability in strong gusts) used to ambush which was too beneficial for shadow warriors. Thanks to its features, fukiya-jitsu is the integral part of the Ninja technique. 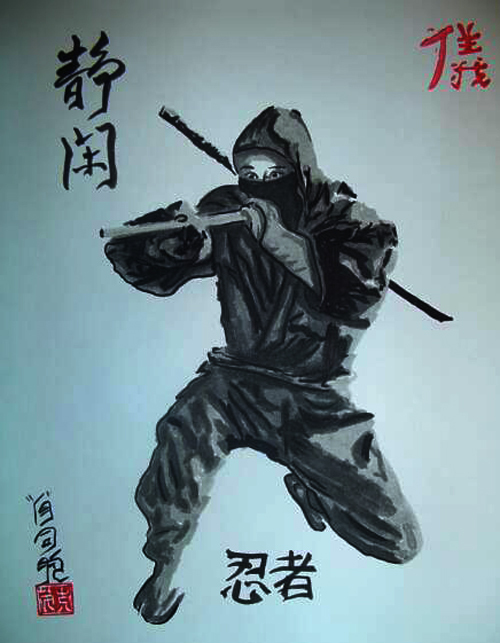 The art of fukibari-jitsu is trained as the secondary skill in several schools of military arts.